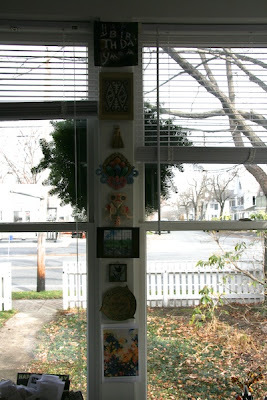 Thanks to my husband, the screens are off the studio windows and the windows are sparkling clean. I'm loving all the light, especially welcome in these darkening days. And I can see the outline of the wreath ushering in the holiday season.